The work of community organizing is complex, difficult, and vitally important. It is also something that anyone—even those of us without degrees, special training, or loads of experience—can take part in, wherever we live. The twenty-first century’s most famous community organizer so far might be former president Barack Obama, whose experience in the field helped make it cool for a new generation of changemakers. Saul Alinsky, known to many as the founder of modern community organizing, helped low-income communities across the U.S. band together to improve living conditions in their neighborhoods, offers another example. But while the luminaries of community organizing deserve their due and have helped move the needle on critical issues, equally important is the community organizing happening in your neighborhood. It may not make front page news, but it’s just as important. It’s local, it’s grassroots, it can bring meaningful change to people on their own terms, and you–yes you–can do it! And ioby is here to help. If you’ve been following ioby for a while, you know that our crowdfunding platform is different from others. It gives everyone the ability to organize all kinds of capital—cash, social networks, in-kind donations, volunteer time, advocacy—from within their neighborhood to make that neighborhood a better place to live. Crowdfunding is the pooling of small online donations for a cause or project. Resource organizing is a core tenet of community organizing that considers activists and advocates the best supporters to ensure the success and long-term stewardship of a project. How does this play out in a fundraising campaign? Let’s look to some of the work led by the “Community Organizing and Civic Engagement” members of our Action Corps network. 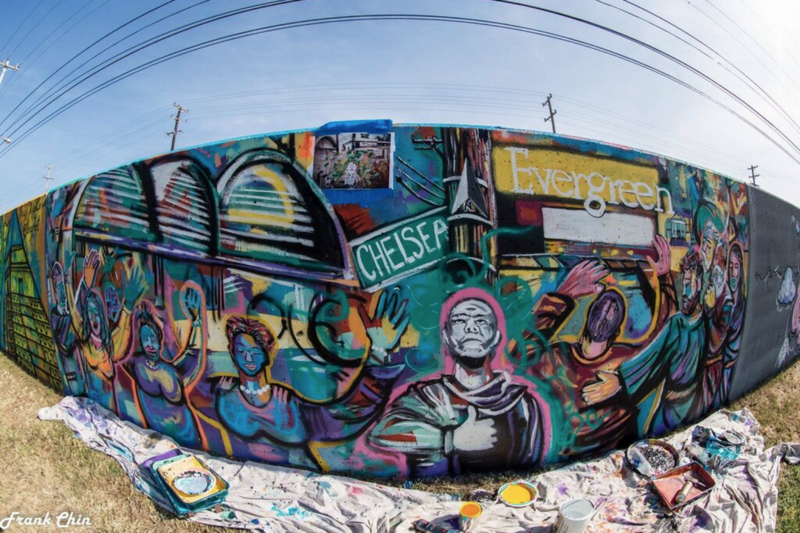 Professor and street art photographer Karen Golightly helped to organize the city of Memphis’s largest collaborative mural project. Long an advocate and scholar of graffiti writers as “the most uncensored voices of a city,” Karen and other local art enthusiasts spent years meeting with the city before they got the green light. “We finally got there by doing a presentation that showed how beautiful the public murals in St. Louis are, and how this is all about community—it’s not a threat!,” she says. “It’s better not to go into this looking like one crazy person—get some backing.” Her group of advocates then turned that same collective mentality to their funding needs, and successfully crowdfunded the donations necessary to bring the project to life. Naomi Doerner raised nearly $8,000 on ioby to support her conference The Untokening: A Convening for Just Streets & Communities. Her campaign received more than 75 individual donations, which allowed almost twice that number of advocates from around the country to convene in Atlanta to discuss issues of street safety, displacement, and engagement in mobility and public transit. The Untokening is a perfect example of a project that’s creating positive change for communities, by communities—from the way it’s funded to the diversity of neighborhoods represented by its attendees. It’s hard to imagine a story of more comprehensive community organizing. Memphian Tommy Pacello has been involved with many successful resident-led actions in his city, including the revitalization of the historic Tennessee Brewery. “For many years,” says Pacello, “we had lived in an environment where people felt stifled; felt they had to wait on other people to do things for us. But [a few years ago] people began to demand better, of themselves, of each other, and of the city. They began to understand that there’s this ability to affect change at a grassroots level, and you don’t have to always wait for the multi-million dollar project to affect your neighborhood. 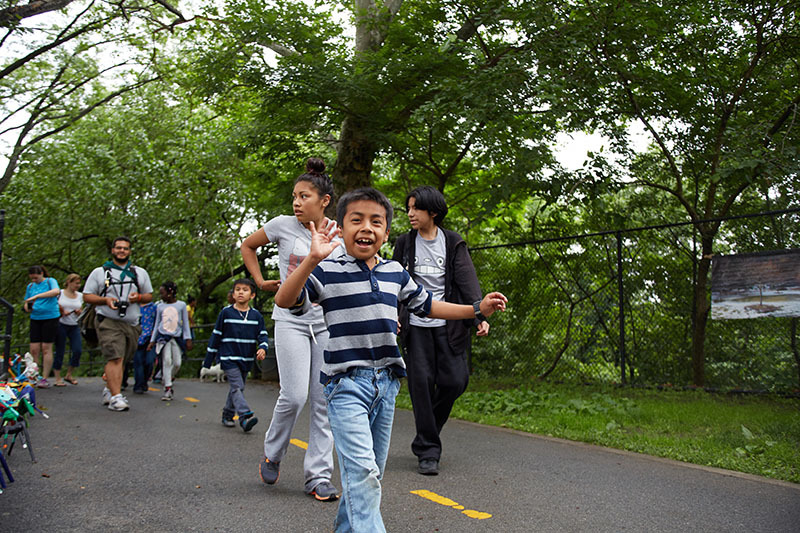 Small interventions can be done, and yeah, it may be a cute little project, but collectively it can really begin to transform a place.” Tommy shared his best practices for applying community organizing principles to neighborhood projects in this Recipe for Change. What if this executive director had spent 30 hours raising $5,000 through crowdfunding? Instead of all that time and energy going into sitting at a desk and writing a proposal that a few people would read and only one source would potentially fund, it could have been spent in community meetings, engaging with audiences on social media, holding events, even practicing storytelling. All of these activities are parts of successful crowdfunding campaigns, and all of them could have simultaneously helped her organization raise its profile, learn from its constituents, and hone its messaging. The fact is, crowd funding can do double duty in a way grant writing can’t. It inherently relies on your community, and requires their trust. This article we wrote for Strong Towns talks more about the benefits of crowdfunding over grant writing for community organizing efforts both large and small. Hey you there, community organizer! We see you, and we want to help. What’s your idea to help make your neighborhood better? Let us know.